Firstly, I must apologise for the groan-inducing title. Yes, this is a post about grammar*. And, yes, there may be more to come. A post about grammar? Part 1? Yawn. Don’t be like that. I don’t intend them to be dry, technical posts. Rather, I want to talk about the idiosyncrasies of grammar and, occasionally, of those who use it. Caveat: I do not hold myself out in any way as being an authority on grammar and its usage. If you want authority, refer to one of the style guides, like the Chicago or Oxford manuals**. Alternatively, visit an online forum dedicated to writing and post something like, ‘There’s nothing wrong with splitting an infinitive’—you’ll soon be swamped with authority or, at least, those who believe they speak with it. I am not claiming to speak with authority. I have, however, been around the block a few times and have published more than half a million words of fiction, so I ought to know a little about the subject. For dinner we’re having pie, chips, and peas. For dinner we’re having pie, chips and peas. Back to the example. Neither sentence is grammatically incorrect, but I prefer the second one. The OC adds nothing in my eyes and the second example looks less cluttered. It comes down to which style a writer prefers, then? You’d think, but there are a surprising number of people out there who will argue vehemently that either the OC should always be used, or that it should never be used. 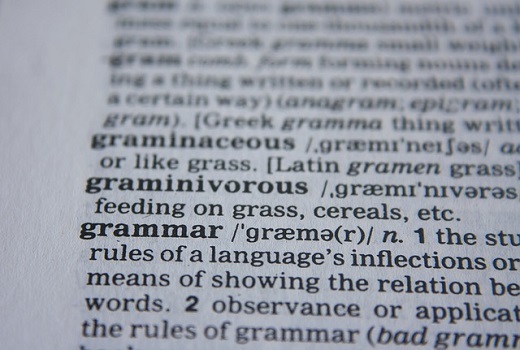 It’s difficult to think of another example of grammar usage where writers (not all, it has to be said, but many) are so polarised, supporting one position to the exclusion of the other. I’m going to dinner this evening with my brothers, Stan Laurel and Oliver Hardy. I’m going to dinner this evening with my brothers, Stan Laurel, and Oliver Hardy. I’m going to dinner this evening with my brother, Stan Laurel, and Oliver Hardy. Now it sounds like the narrator is saying that Stan Laurel is his brother. If that’s not what he intends, the OC needs to go. – If the intended meaning of a sentence is improved by inclusion of the OC, use it. – If the meaning is obfuscated (man, I love that word) by inclusion of the OC, omit it. – If the meaning isn’t clear with or without it, rewrite the sentence. And, as far as I’m concerned, that’s all there is to say on the matter. * By ‘grammar’, I’m including things like spelling and punctuation. Although, strictly speaking, they are usually separate and distinct from grammar, I’m including them under the same umbrella term for ease of categorisation and, well, because it’s my website. So there. ** I mention the Oxford and Chicago manuals because they are the ones which seem to be most favoured by writers (I have copies of both sitting on the bookshelf above my writing desk) and both of which happen to be in favour of the OC, but there are other guides which aren’t. Sooooooo… you’re choosing to piss everyone off? (just kidding). Actually, your conclusion is probably how comma usage will end up after a few (or possibly a few hundred) years. Seems to me that many people’s support of or objection to the Oxford comma is based upon whether they were taught to use it or not in school. I was taught not to use it, which is why my tendency is to omit it, but, like I say in the post, I’ll happily use it where required.